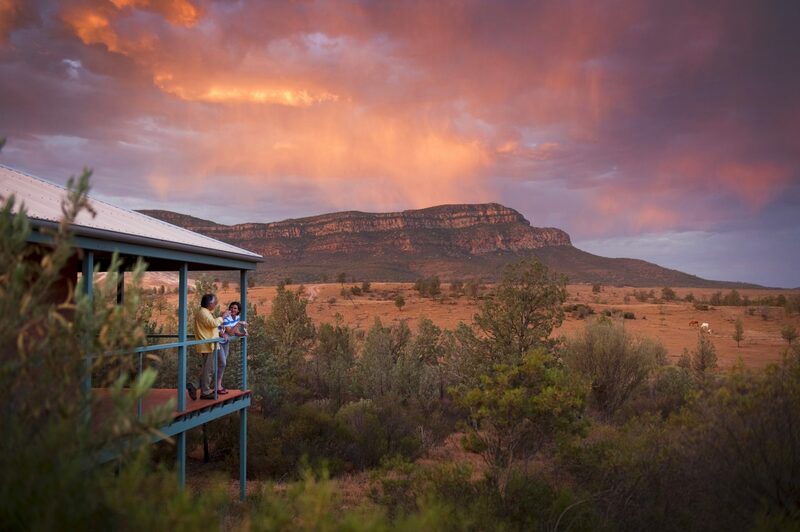 Located 430km north of Adelaide overlooking Wilpena Pound and Flinders Ranges National Park. Access by sealed road or light aircraft. 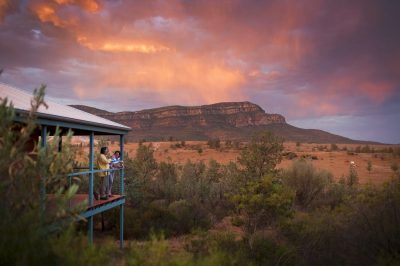 Rawnsley Park Station provides the perfect base for exploring South Australia’s magnificent Flinders Ranges. From pitching a tent under the stars to enjoying the station’s luxury eco villas, Rawnsley Park Station has accommodation to suit all tastes and budgets. Visitors can explore the property on seven marked walking trails or on numerous cycling trails. The onsite store provides groceries, souvenirs, fuel & LPG refills. Enjoy country hospitality and great food at the airconditioned Woolshed Restaurant.